Hearst Castle, a hilltop mansion built by William Randolph Hearst, is located along the beautiful Central Coast of California in the tiny town of San Simeon. 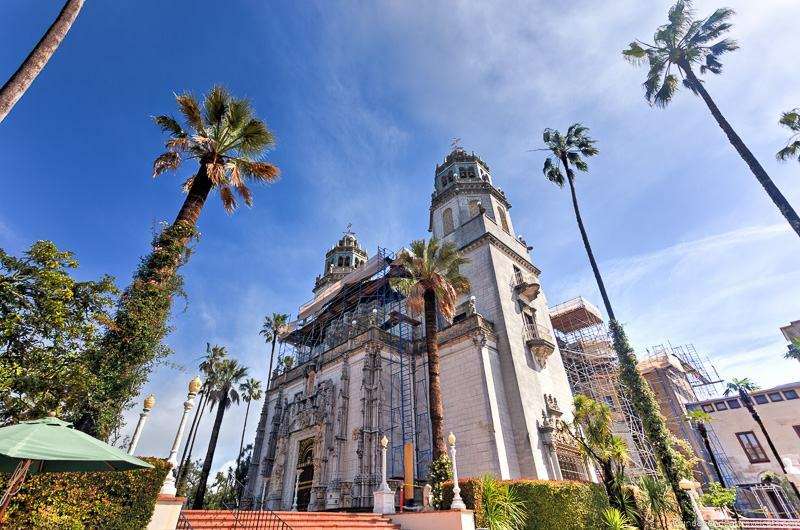 The infamous newspaper magnate William Randolph Hearst with the aid of San Francisco architect Julia Morgan began construction of his dream mansion in 1919, a project that would continue for the next 30 years. Hearst named the property “La Cuesta Encantada” (Spanish for “The Enchanted Hill”). The architecturally eclectic property, now known as Heart Castle, had a private airfield, two giant swimming pools, a movie theater, tennis courts, over 100 acres of gardens, two greenhouses, and the world’s largest private zoo. 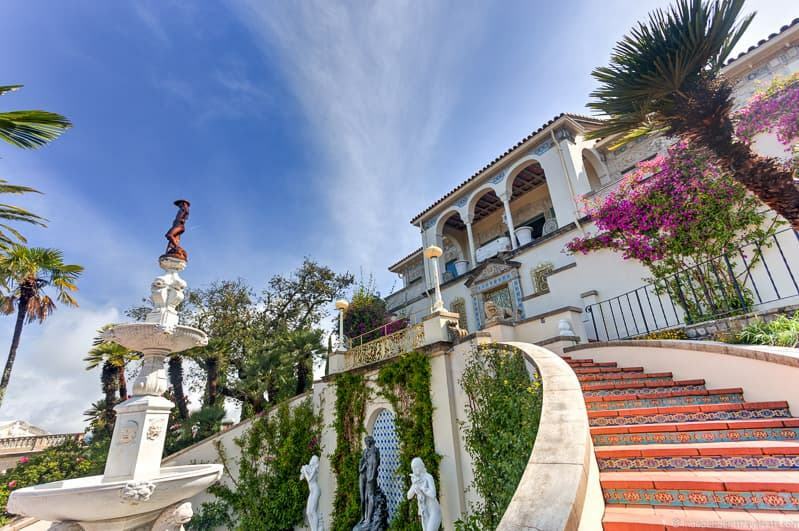 The property was once open only by invitation to A-list celebrities and politicians, such as Clark Gable, Joan Crawford, Charlie Chaplin, and Winston Churchill. But today Hearst Castle is a historical landmark offering tours to the public. 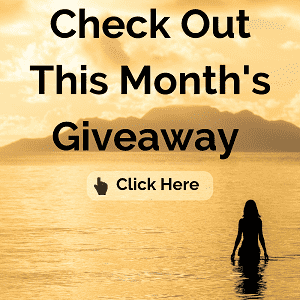 We’ll tell you everything you need to know about how to visit Hearst Castle, how to buy tickets, what tours to take, tips for making the most of your visit, and things to do near Hearst Castle in the area. This history of Hearst Ranch begins with William Randolph Hearst’s father, George Hearst. George Hearst was born in Missouri in 1820 on a small farm, eventually heading west to California as part of a small wagon train crossing the California Trail in 1850 during the Gold Rush. Hearst was one of the lucky ones, striking it rich and eventually becoming a wealthy businessman and politician. In 1865, George Hearst purchased 48,000 acres of the Piedra Blanca Rancho from José de Jesus Pico in 1865. Over time, he would purchase more land in the area and by 1886, the Hearst Ranch had 270,000 acres of land! The land would be primarily used for ranching and stud farming. George Hearst did have a 18-room Victorian ranch house built in 1878 on the property, which is still standing today and still used by the Hearst family. 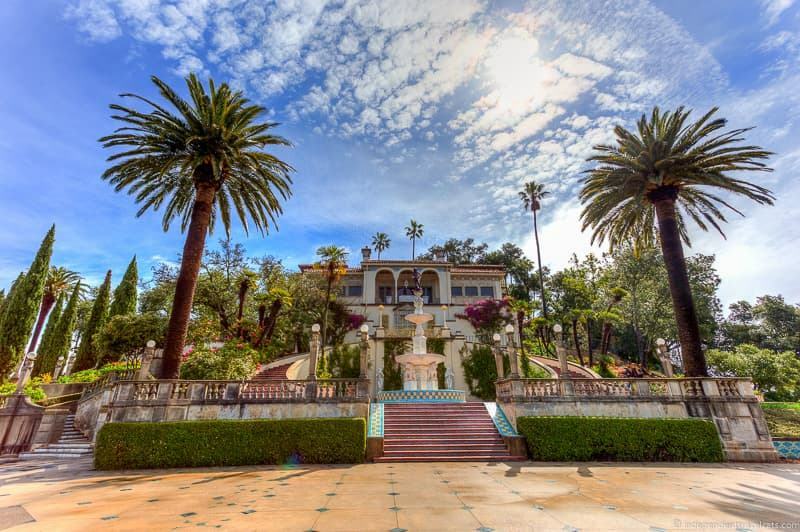 But he left most of the property undeveloped and it would stay this way until it was later inherited by his only child, William Randolph Hearst. William Randolph Hearst became well-known for his participation in politics, use of yellow journalism, extensive artwork collection, and his long-term affair with actress Marion Davies. But perhaps his most lasting legacy is his former home, Hearst Castle. As a child, William Randolph Hearst enjoyed camping holidays with his parents on Hearst Ranch, favoring an area they called Camp Hill. Hearst saw very little of his busy father as a child which likely made these summer camping holidays very memorable. Because of George Hearst’s great wealth, he was able to send his wife and son on grand tours of Europe. Young William first visited Europe with his mother at the age of 10. This trip, and subsequent trips to Europe, made a great impression on him. He was fascinated with the history, the architecture, the castles, and the art in Europe. As an adult he became an avid collector of art, furniture, and antiquities from Europe. Although William had great advantages from his father and family wealth, he went on to build a media empire of his own which still exists today. After Hearst married and had his own children, he and his wife Millicent and their children often visited San Simeon to go camping on Camp Hill. After his mother’s death in 1919, William Randolph Hearst would commission architect Julia Morgan, whom he had already worked with on prior Hearst projects, to build him a house on what was then known as Camp Hill. At first, he just wanted a modest bungalow so that his family and friends would not have to sleep out in the open on camping trips. Heart’s initial ideas became grander and grander over time. Hearst and Morgan started their project in 1919 and construction would continue on the hill until 1947! Camp Hill would be transformed into La Cuesta Encantada, and Hearst would have his very own “castle” filled to the brim with his massive collection of art and furniture. In the end, Hearst and Morgan would construct one giant house (Casa Grande) and 3 bungalows of varying sizes (Casa del Sol, Casa del Mar, and Casa del Monte). There is a total of 161 rooms across these four buildings! There would also be 2 giant swimming pools, a tennis court, a wine cellar, a private zoo, a private theater, an airfield, greenhouses, and elaborate landscaped gardens. Not to mention the many ranch buildings they were built elsewhere on the large ranch, which included barns, warehouses, and homes for the ranch employees. The planned work on Hearst Castle was actually never completed as it was ongoing until Hearst’s health began to decline and he had to leave the Hilltop. Some parts of Casa Grande for instance were left unfinished and undecorated, and plans for a large ballroom and more guesthouses were never begun. Hearst Castle was initially intended as a family home, but by 1926 he and his wife had separated (although never divorced) and he was living openly with his mistress Marion Davies. Hearst spent most of his time in California in either San Simeon or Los Angeles, while Millicent stayed in New York. She rarely visited the house after 1926. William Randolph Hearst owned the largest media conglomerate in the world, which included a number of newspapers, magazines, radio stations, and even a film company. He was also very involved in politics, even unsuccessfully running for President of the United States in 1904. This meant he had connections that ranged from actors and writers to senators and presidents. From the late 1920’s to 1940’s, Hearst and Marion Davies would regularly entertain a stream of the rich, famous, and powerful. 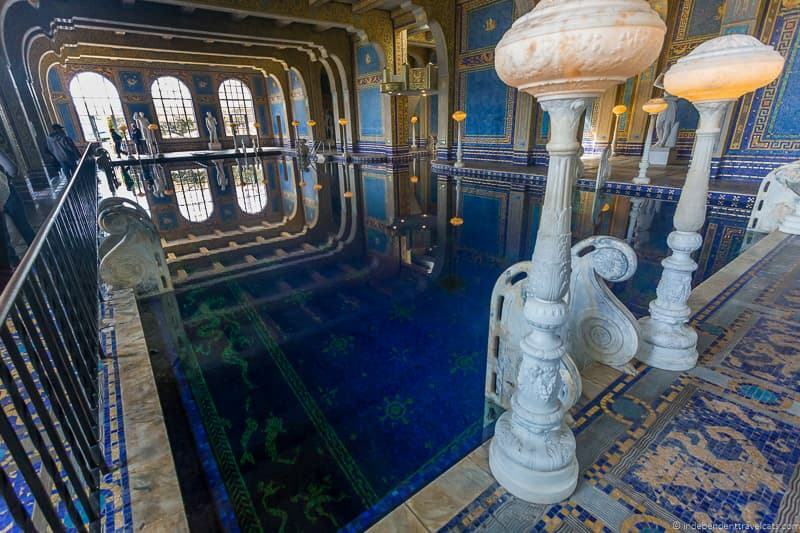 Hearst Castle became a popular and coveted getaway for Hollywood celebrities who could enjoy first-rate amenities at an isolated spot far from the paparazzi. Visitors over the years included Clark Gable, Sir Winston Churchill, Howard Hughes, Joan Crawford, Greta Garbo, Cary Grant, George Bernard Shaw, Jack Warner, Calvin Coolidge, Charlie Chaplin, and Louis B. Mayer. While his guests enjoyed the amenities, Hearst would spend most of his days in his office running his businesses, and then join his guests in the evenings for dinner and entertainment. Despite the glitzy house and elaborate parties, Hearst still tried to maintain the ranch atmosphere that he had always loved. 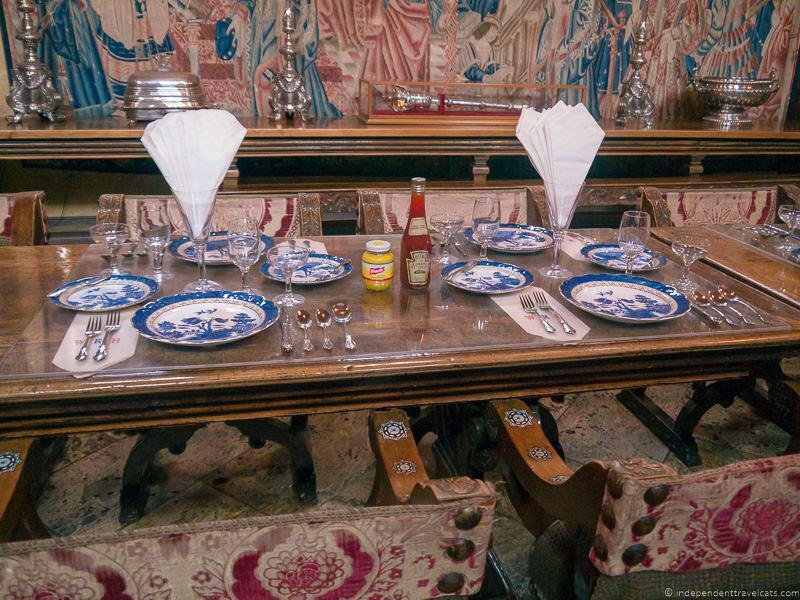 He took guests horseback riding and on overnight camping trips (much to some visitors’ discomfort) and had the grand dining table set with paper napkins and ketchup bottles. In 1941, Hearst and Hearst Castle would not just attract movie stars, but would be the inspiration (partial inspiration anyway) for the film Citizen Kane by Orson Welles. In the film, Hearst Castle serves as an inspiration for Xanadu, the home of Charles Foster Kane. The film enraged Hearst, especially in its poor depiction of his mistress, and he tried unsuccessfully to have it banned and suppressed. Hearst left his beloved home for the last time in 1947 because of deteriorating health. He died in 1951 in Beverly Hills. He wanted to donate La Cuesta Encantada to the University of California but they did not accept the gift as they felt they would be unable to manage such a large undertaking. In 1957, Hearst Corporation and the Hearst family donated the Hilltop and its buildings to the State of California. in 1958, the State of California opened up Hearst Castle to the public as the Hearst San Simeon State Historical Monument. The first regular public tours of Hearst Castle began in June 1958. Today there are several different tours offered at Hearst Castle along with a large Visitor Center and theater. Over the years, Hearst Castle has become the most visited paid attraction in Central California. It often attracts over 700,000 visitors a year. Although the Hearst family donated Hearst Castle, the Hearst Corporation still owns Hearst Ranch in San Simeon, which includes over 80,000 acres of land and is one of the largest working cattle ranches in Central California. The Hearst family remain active in the management of the land around the castle and some family members still visit and even stay overnight occasionally (usually in the original Victorian ranch house, not open to the public). I am not sure what Hearst would make of the hundreds of thousands of uninvited visitors wandering around his home, but it is pretty amazing that Hearst Castle still attracts so many people fascinated with his dream home. 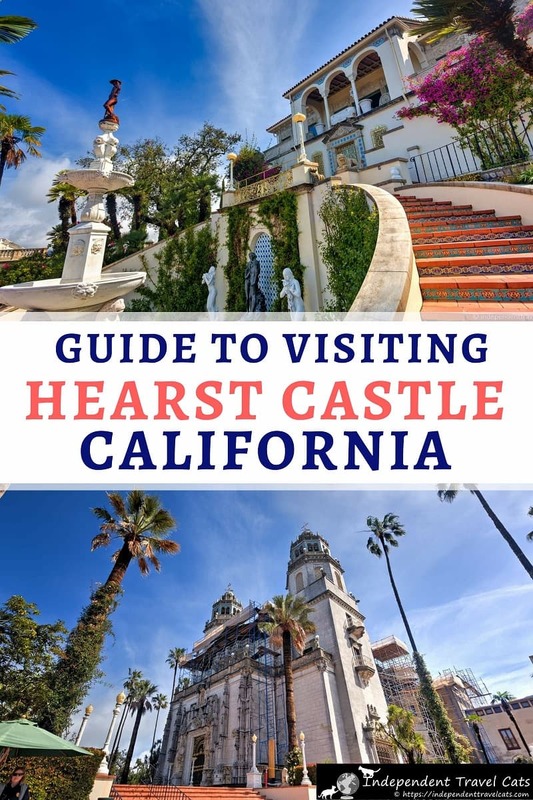 Here is all the information you’ll need to help plan your visit to Hearst Castle and the surrounding area, including how to get there, what tours are offered, how to book tickets, things to do near Hearst Castle, and where to stay nearby. Where is Hearst Castle located? Hearst Castle is located along California’s Central Coast in the small town of San Simeon, which is located near the town of Cambria. It is about halfway between Los Angeles and San Francisco. How to get to Hearst Castle? Hearst Castle is most accessible for drivers by car. If you are visiting California, it is a great stop to make if you are driving the Pacific Coast Highway. But you can also get here via public transit, day tour, or taxi. Hearst Castle is most accessible for drivers by car. It is about a 1 hour drive from San Luis Obispo, 3.5 to 4 hour drive (240 miles) from San Francisco, and 4 hour drive (230 miles) from Los Angeles. There is free visitor parking located at the Visitor Center. You can reach Hearst Castle by bus or a mix of bus and train. It depends on where you are coming from but local buses stop at Hearst Castle and are easy to get from nearby towns such as Pablo Robles, Cambria, San Luis Obispo, and Morro Bay. The nearest bus stop is Hearst Castle, which is just a 1 minute walk from the Visitor Center. Check local bus schedules and fares here. If you are coming from further away (e.g., San Francisco, Sacramento, Los Angeles), you’ll probably want to check connections to the area via Greyhound bus serves and/or Amtrak train services and then connect to the local bus network from a place like San Luis Obispo or Pablo Robles. If you don’t want to drive or take public transit, you might consider a day tour, such as this one (transport from Los Angeles) or this one (pick up possible from Paso Robles, Morro Bay, San Luis Obispo, Pismo Beach, Cambria, or San Simeon). The nearest airport to Hearst Castle is San Luis Obispo County Regional Airport which is about a 1 hour drive from Hearst Castle. From San Luis Obispo, you can rent a car, take the public bus, book a day tour, or book a taxi or shuttle to take you to Hearst Castle. 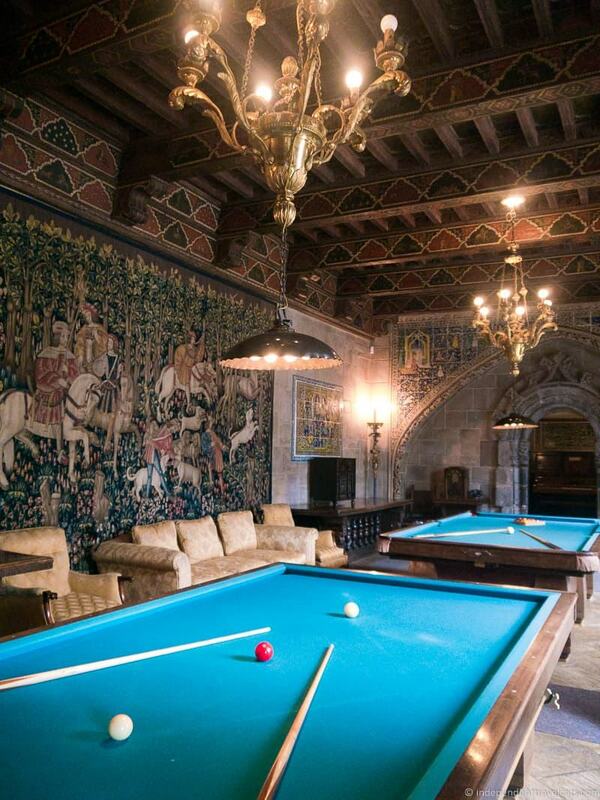 What is there to do at Hearst Castle? The main two things to do at Hearst Castle are visiting the Visitor Center and taking a tour to the hilltop to see Hearst Castle. Stop at the Visitor Center (free) which includes a small exhibit area about William Randolph Hearst and Hearst Castle, a casual restaurant, cafe, and gift shop. Watch a 40-minute film Hearst Castle: Building the Dream (fee, included with daytime tour tickets) at the Visitor Center. Take one of several tours offered at Hearst Castle; the different tours explore different parts of the estate’s buildings. All tours include a bus ride to the top of the hill and a visit to the interiors of Hearst Castle, the two pools, and the gardens. Tours are offered in the day time as well as in the evenings during certain times of the year. After your tour ends, you have the option to further explore the gardens on your own. Cost of Visiting Hearst Castle? There are a number of guided tours available, and tickets are (as of March 2019) USD $25 per adult and $12 for children age 5-12 for the most popular tour. Children under age 5 are free. Note that an additional service fee is charged if you wish to reserve tickets in advance. What Tours are offered at Hearst Castle? 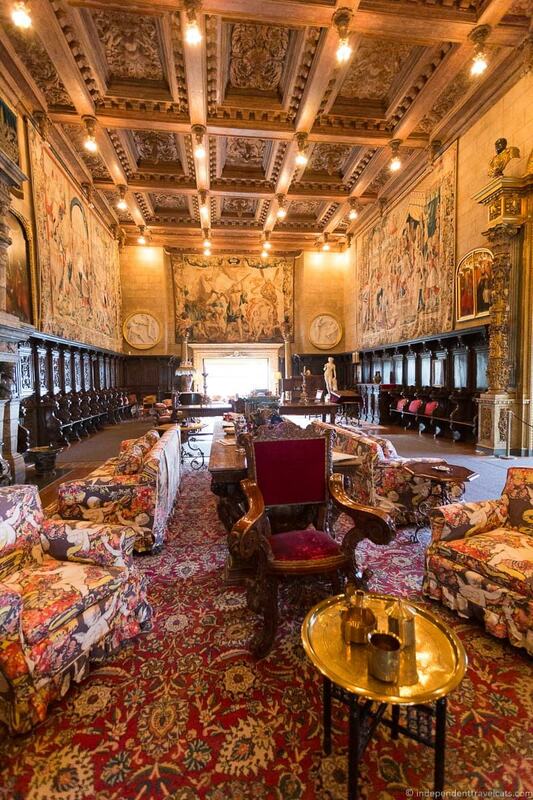 You must join a guided tour in order to visit Hearst Castle. The Hearst Castle guided tours range from about 60 minutes to 2 hours, and all include a visit to the Neptune Pool, the Roman Pool, and time to explore the gardens. 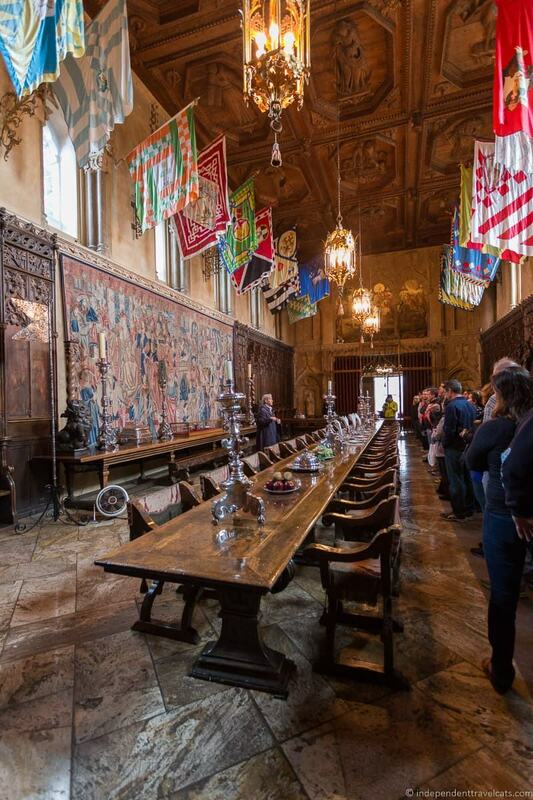 Grand Rooms Tour – This 60 minute tour includes all the grand social rooms of Casa Grande (the largest house at Hearst Castle), including the Assembly Room, Dining Room (Refectory), Billiard Room, and Private Theater. This is the most popular tour and is recommended for first-time visitors. Upstairs Suites Tour – This 60 minute tour explores the upper floors of Casa Grande, including the library, guest suites, and Hearst’s bedroom and study. A great second tour to take. Cottages & Kitchen Tour – This 60 minute tour features two of the three luxurious guest cottages near Casa Grande (usually Casa del Mar and Casa del Monte), the Casa Grande kitchen, and the Casa Grande wine cellar. Designing the Dream Tour – This 75 minute tour tells the story of the construction, architecture, and interior design of Hearst Castle, and the collaboration between William Randolph Hearst and Julia Morgan. Features Casa del Sol, the North Wing of Casa Grande, and the dressing rooms of the Roman Pool. Great for those with a passion for architecture and/or interior design. Evening Tour – This 1 hour 40 minute tour is designed to let you more slowly enjoy the Casa Grande in the evening when it is illuminated and filled with guides in 1930’s period dress. Tour includes most of the rooms from the Grand Rooms Tour and the Upstairs Suites Tour. Great for a first or second time visit. There are also wheelchair accessible versions of the most popular tours available, and there are also special interest semi-private (art, Hollywood, architecture), holiday themed, and private tours available. How do I purchase tickets for Hearst Castle? 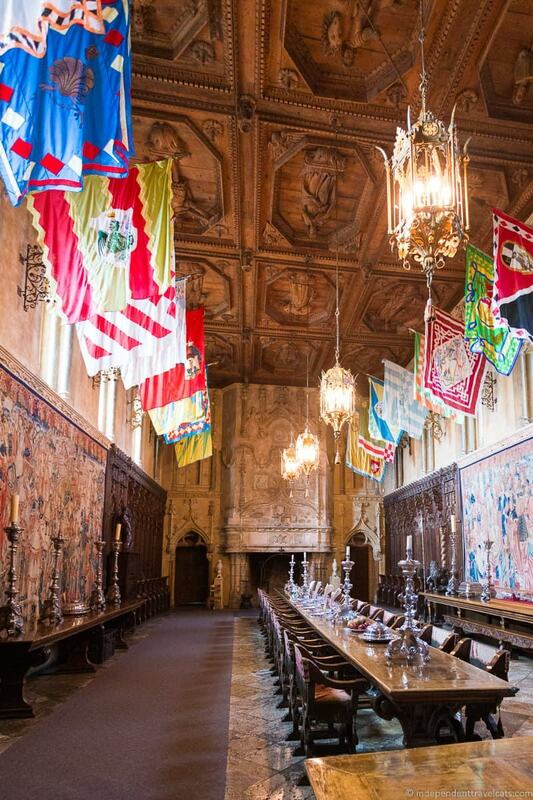 Tickets can be reserved and purchased online at the Hearst Castle website, by phone (U.S.: 1-800-444-4445 International: 1-833-448-7287), or in-person at the Visitor Center. Tickets can be reserved in advance up to 60 days prior to your visit date. There is a service fee charged for tickets booked in advance, so you can save money by purchasing your ticket in-person. However, as tours do often sell out, especially in busy months, it is recommended that you purchase tickets in advance to ensure that you get the time slot that you want. You can check the booking calendar before your visit to check ticket availability. Just note that if you book your ticket in advance, there is a cancellation fee to change the dates or cancel the tickets. So don’t book in advance unless you are sure on your date of visit. If you are interested in a personalized or private tour, they are available for $750 and must be booked in advance. Call (805) 927-2070 to arrange a private tour. Is Food Available at Hearst Castle? Yes, meals are available at the Chief’s Galley Cafe in the visitor center which serves sandwiches, soups, grilled items, salads, and more. 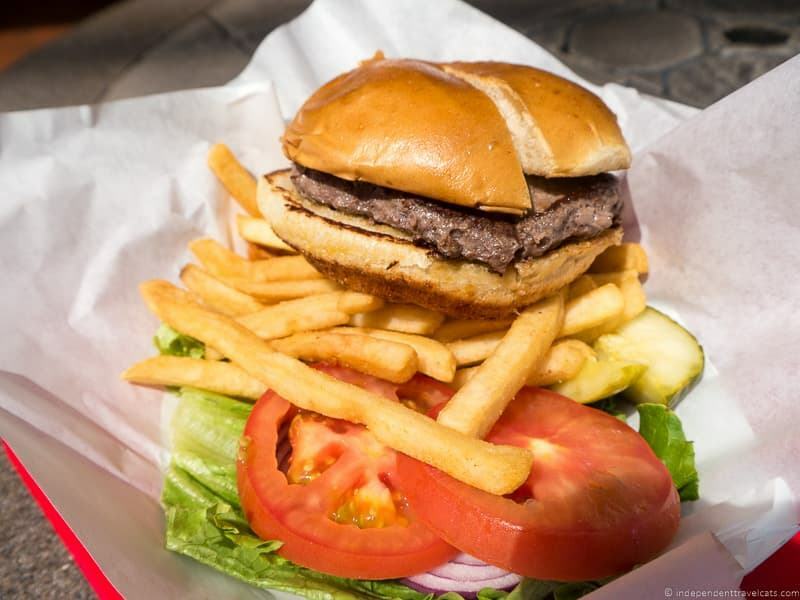 You can try the local grass-fed Hearst beef from the ranch here. If you are looking for a lighter meal or snack, you can stop at La Cuesta Coffee Shop which serves coffee, tea, sandwiches, and snacks. In the summer months, an additional outside BBQ spot is also usually open in the Visitor Center Courtyard. Note that you can not bring food or drinks (except bottled water) on the tours or to the hilltop, and there is no food available for purchase on the hilltop. Other Services at Hearst Castle? Hearst Castle offers a Visitor Center that includes ticket booths, a casual restaurant, a coffee shop, restrooms, an exhibition area, and a book and gift shop. Free parking is located next to the Visitor Center. 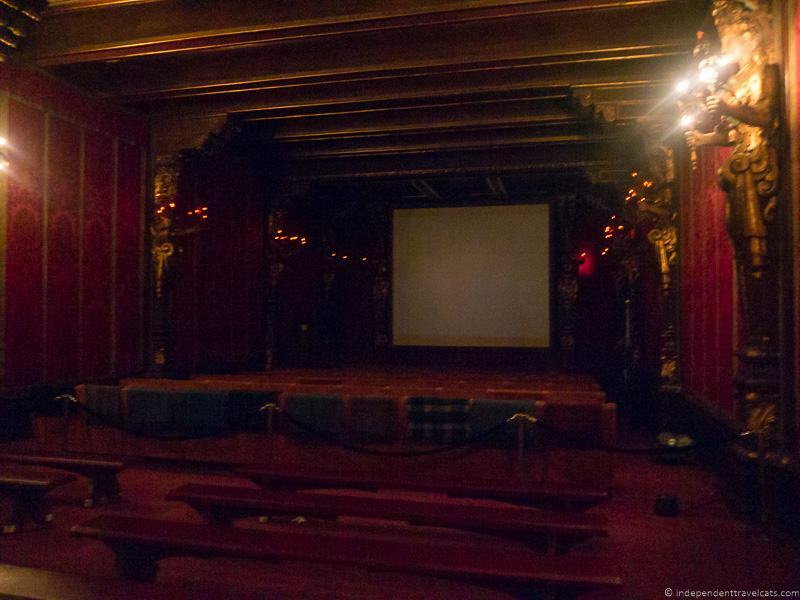 The Hearst Castle Theater is also located in the Visitor Center which shows the 40-minute film Hearst Castle: Building the Dream several times a day. The film is included with the price of all daytime tours, and it can be added to most evening tours for an additional fee. Is Hearst Castle wheelchair accessible? Hearst Castle is partially wheelchair accessible. The regular tours do require participants to be able to walk up and down some stairs; however, there are special stair-free ADA Accessible Tours (day and evening tours) designed specifically for wheelchair users and those with limited mobility or who can’t stand for long periods of time. The ADA Accessible Grand Rooms tour covers sections of the garden, the two pools, and the main room highlights within Casa Grande including the Assembly Room, Refectory, Billiard Room, and the Theater. Please reserve tour in advance to guarantee space. The Visitor Center is wheelchair accessible and wheelchair accessible toilets are available here. Wheelchairs up to 28 inches in width can be accommodated at the Castle. Wheelchairs are also available to borrow for those with special needs at no additional charge. Visitors are allowed to take photos in the house and in the gardens for personal use. Flash photography is not allowed inside the houses. Tripods are not permitted at Hearst Castle. For commercial photography, please contact Hearst Castle for needed permissions and fees. How Long is a Visit to Hearst Castle? You’ll want to spend at least 2 hours at Hearst Castle, although I’d plan on 3 hours to give yourself enough time to explore everything. But you can easily spend 4 hours or more here. Most of the public guided tours are 60 minutes long but some last up to 2 hours. But if you add in the 40-minute film at the Visitor Center, the bus ride up and down the hill, free time exploring the gardens, and a stop at the exhibition and gift shop you can easily spend a full morning or afternoon here. Add additional time if you plan to eat here or take a second tour. If you are short on time, in 2 hours you can get your ticket, watch the 40 minute film, do the guided tour, and then head straight back down to the Visitor Center. Be sure to check the film and tour timings and plan accordingly. But we’d recommend allowing at least 3 hours here so you are not rushed and have more time to enjoy the Visitor Center and wander around the hilltop after your tour. Even if you pre-book your ticket, we recommend arriving at the Visitor Center at least 15 to 20 minutes prior to the beginning of your tour to ensure you have enough time to collect your tickets and get on the bus in time. Day Tours to Hearst Castle? If you are staying in Los Angeles or along the Central Coast, you can take a day tour that visits Hearst Castle. If you are staying in San Francisco, we don’t know of any day tours, but you can book overnight tours that depart from San Francisco. This well-rated full day tour from Los Angeles includes the Grand Rooms tour at Hearst Castle plus stops in Santa Barbara and Solvang. The tour includes a tour guide and transport to and from Los Angeles in an air-conditioned van or bus. 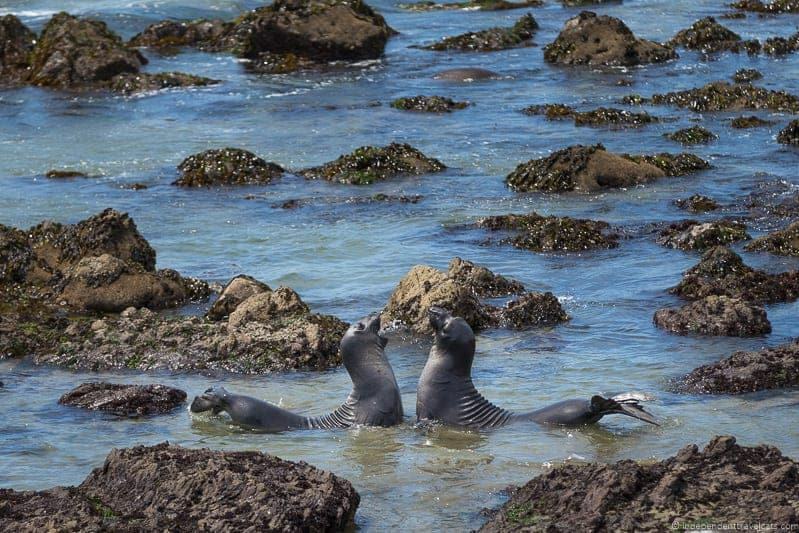 This Central Coast tour (can pick up in Paso Robles, Morro Bay, San Luis Obisbo, Pismo Beach, Cambria, or San Simeon) includes a tour of Hearst Castle, a stop at Piedras Blancas elephant seal rookery, and a stop at a local winery in Cambria. A deli lunch is also included. This small group wine tasting tour can pick-up visitors from San Luis Obispo or Paso Robles and visits 3 local wineries and Hearst Castle. This popular 3 Day Coastal Tour from San Francisco to Los Angeles explores the Pacific Coast Highway and includes a Hearst Castle tour as well as stops in a number of coastal towns including Cambria, Santa Cruz, Monterey, Big Sur, and Santa Barbara. 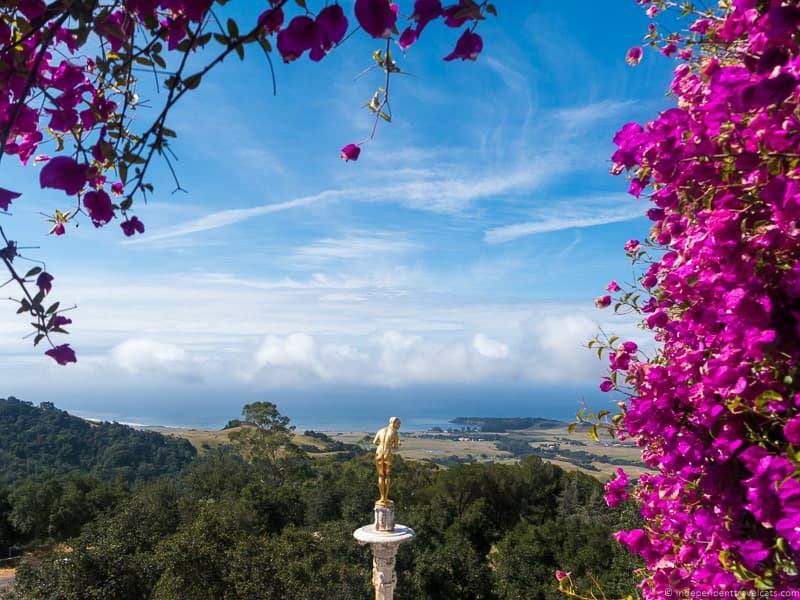 Best time of year to visit Hearst Castle? Hearst Castle is open daily year-round; it is closed Thanksgiving Day, Christmas Day and New Year’s Day. 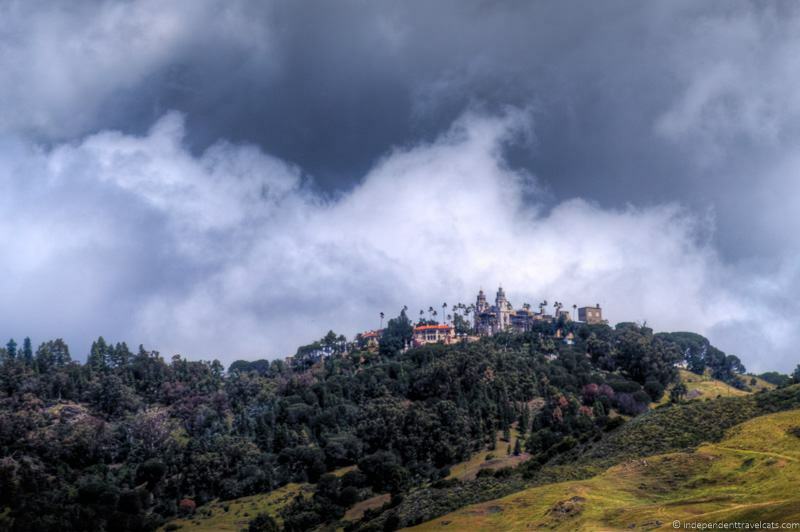 So you can visit Hearst Castle at any time of year. The summer months and around holidays are the busiest times of years, so I would avoid these if you want to go when there are fewer crowds. Summer is also the hottest time of year in this part of California whereas the winter months are the coldest. Winter is perhaps the worst time to see the gardens; however, winter months are often the least crowded, especially if you avoid the holiday season. The evening tours are only offered in the Fall and Spring months, so visit then if you are interested in taking one of the 1930’s themed tours at night. Special holiday tours are offered around Christmas and other holidays. What else is there to do near Hearst Castle? There are a number of things to do near Hearst Castle and it is easy to spend a day or two exploring San Simeon, Cambria, and the local coastline here. Elephant Seal Rookery – There is a viewing area at Point Piedras Blancas where you can usually see elephant seals down below on the beach. Sometimes there are a dozen and sometimes there are thousands here, depending on the time of the year. You can learn more about these amazing creatures here. This area and many more along the coast are part of the Monterey Bay National Marine Sanctuary and you can learn more by visiting the Coastal Discovery Center in San Simeon. Piedras Blancas Light Station – A lighthouse was first completed here in 1875 and a fog signal building in 1905. Today visitors can learn more about the history of this light station and the lives of the lighthouse keepers and their families by taking a tour. Guided tours are offered 3 days a week. Wineries – Hearst Ranch has its own winery, and you can taste the wine at the nearby Sebastian’s in San Simeon. There is also the Stolo Winery in Cambria as well as a number of wine tasting rooms. For those wanting to do wine tasting in the popular Paso Robles wine area, you might consider a wine tasting tour such as this one that includes transport to and from Cambria or San Simeon. Beaches – There are a number of beaches in the area including W.R. Hearst Memorial State Beach, Ragged Point Beach, and Moonstone beach. Cambria Historical Museum – Learn about the area’s local history at this small museum located in one of Cambria’s oldest buildings. Nitt Witt Ridge – A home built by an eccentric man in Cambria named Arthur Harold Beal of found objects which include everything from beer cans and toilet seats to tiles from Hearst Castle. House is privately owned but tours are given most days at 10am, call the owners (phone: 805-927-2690) in advance to schedule a tour. 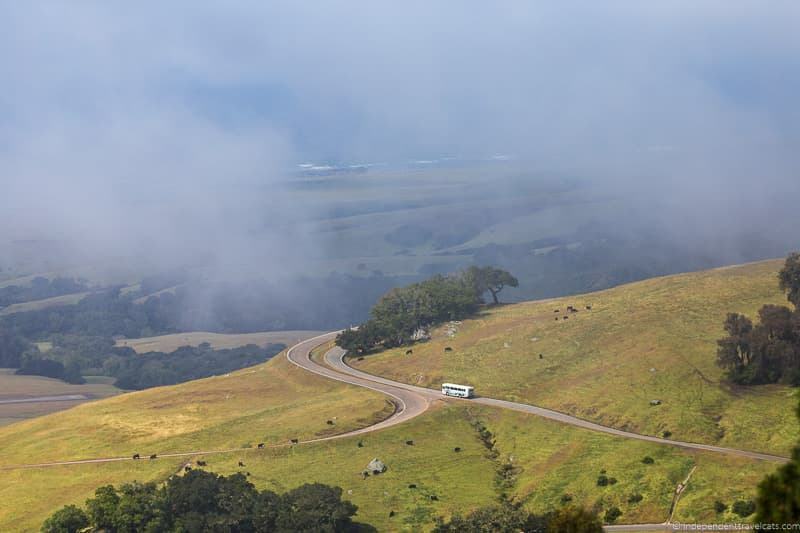 Scenic Drives – This is a beautiful part of California and you can take a scenic drive along the coastline and drive along Highway 1 to explore part of the Pacific Coast Highway. For those planning to explore further in California, check out our Pacific Coast Highway road trip guide and our suggested 2 week California itinerary for more ideas. Where to Stay near Hearst Castle? 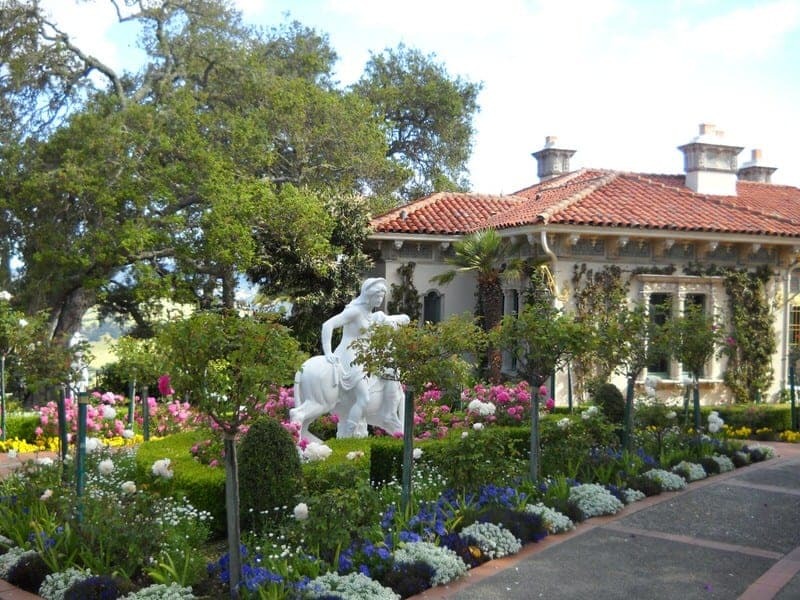 If you want to stay overnight near Hearst Castle, we recommend looking for accommodation in San Simeon (town where Hearst Castle is located) or Cambria (town south of San Simeon). There are hotels, motels, apartments, and bed-and-breakfasts in both towns. This is a popular area to stay the night, so be prepared for higher than usual prices, especially in the summer and around holidays. Quality Inn in San Simeon – This 2-star good value motel offers comfortable rooms, free continental breakfast, an outdoor heated pool, and hot tub. Located only 4 miles from Hearst Castle. Cavalier Oceanfront Resort in San Simeon – This 3-star beachfront resort-style hotel offers heated outdoor pools, hot tub, on-site full service restaurant, and 24-hour reception desk. Some rooms have fireplaces, patios, and ocean views. Family and dog friendly. Only 4 miles from Hearst Castle. El Colibri Hotel & Spa in Cambria – This 3-star boutique hotel offers an on-site wine bar and spa, and each guest room includes a deep soaking jet tub, lounge chair, and flat screen TV. Walking distance from Moonstone Beach. We’ve stayed here and can recommend; great for couples. Located about 8 miles from Hearst Castle. Cambria Shores Inn in Cambria – This 2-star property is just across the street from the boardwalk and beach. Hotel offers continental breakfast, and all rooms include fireplaces, microwaves, and flat-screen TVs. 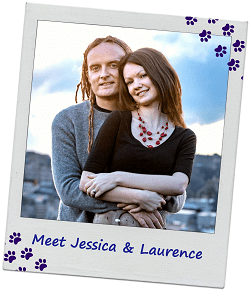 This property is family and dog friendly. 8 miles from Hearst Castle. J Patrick House B&B in Cambria – This 5-star bed-and-breakfast includes a free wine hour, fully cooked breakfast, and shared lounge area. Each room includes a fireplace and free spa toiletries. Perfect for couples. 10 miles from Hearst Castle. If you are looking for a hostel, the nearest one we know of is Hostel Obispo which offers budget prices, starting at about $30/night. Dorm style rooms and common rooms include lounge, kitchen, lockers, and laundry facilities. 42 miles (1 hour drive) from Hearst Castle. For those looking for rooms or apartments, you can check the local listings on Airbnb. Where can I find out more information about Hearst Castle? Heart Castle is owned by California State Parks and they have an excellent informative website where you can find more information, see tour times, and book tickets. If you want to learn more about the castle, there are a number of books about Hearst Castle, William Randolph Hearst, and architect Julia Morgan, which you can see here. 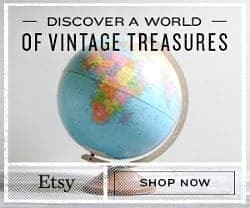 One author to check out is books by Victoria Kastner, who was the official historian for Hearst Castle for over 20 years and has written several books. If you want to watch the video, Hearst Castle: Building the Dream, shown at Hearst Castle in the theater, you can actually purchase it online here. The film tells the story of William Randolph Hearst and his building of Hearst Castle with some wonderful scenery. And of course, if you’ve never seen Citizen Kane, you should definitely watch this black-and-white masterpiece before or after your visit. The film by George Orwell is a satirized version of Hearst’s life and Hearst Castle was the inspiration for the fictional Xanadu. I have visited Hearst Castle twice and since I went with two different people we did the Grand Tours tour both time. This is the most popular tour and the one that is recommended for most first time visitors as it includes the grand public rooms on the main floor of Casa Grande, which is the largest house on the hilltop. 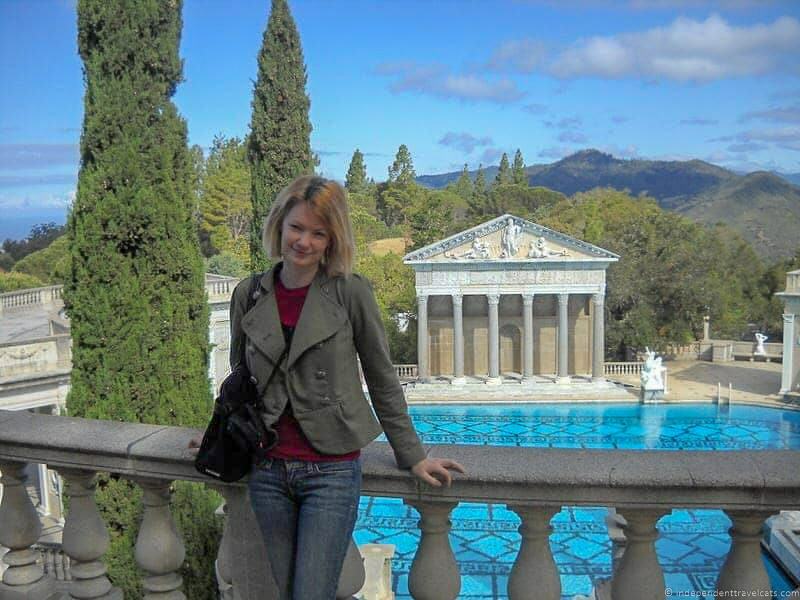 I first visited Hearst Castle in Spring 2011 and then a second time several years later. Both times, we reserved our tickets online and then brought our printed voucher to the ticket window to collect our tickets and wristbands. We arrived about an hour before our tour and watched the 40-minute film Hearst Castle: Building the Dream which provides a very good overview of the construction and building of the castle, and includes some vintage film clips from the 1920’s and 1930’s. We recommend watching this before your tour if you have time. There is also a free exhibition at the Visitor Center, and parts of it change over time with rotating collections. When we visited there was general information about William Randolph Hearst and Hearst Castle along with several objects on display. Then we got in line for the bus that drives you up the 5-mile route to the castle. The buses were clean and comfortable enough for the short ride. There are some nice views to enjoy from the window as you wind your way up the hilltop. You can also learn more about the property by listening to the recorded narration provided by Jeopardy’s Alex Trebek about the property and grounds along the way. Keep a look out for zebra! William Randolph Hearst had one of the largest private zoos in the world in the 1930’s, and a few free roaming animals still remain from the zoo, most notably a herd of zebra. You may get lucky and see them as we did, a bit odd to see zebra along the California coast! In the past, invited guests would arrive by private plane, train, or car. Upon entering the gated estate, they would have commonly been driven past animals such as bison, camels, zebra, ostriches, and elk on their journey up to the house. After the bus arrives at the Hilltop, you’ll be sorted into the appropriate group based on the tour ticket you purchased. Then you’ll be introduced to your tour guide and given an introduction about the rules of the tours and the building of the property. The Grand Room tours often have about 20 people per group, but the more specialized tours often have smaller groups. The first thing you’ll probably notice are the esplanade and beautiful gardens. I loved the scent from the orange trees my first trip up to the hilltop. 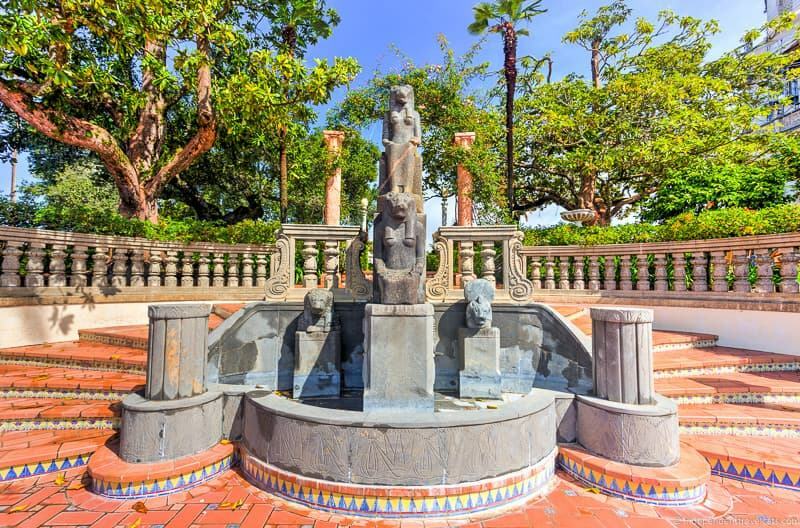 Although Hearst Castle is best known for its buildings, particularly Casa Grande, the gardens were also planned in elaborate detail by Hearst and Julia Morgan and attended to by a large team of gardeners. The lovely gardens are mainly Mediterranean in influence and you’ll see Spanish and Italian influences throughout the design of the gardens. There are a wide variety of flowers, fruit trees, palm trees, and succulents here. 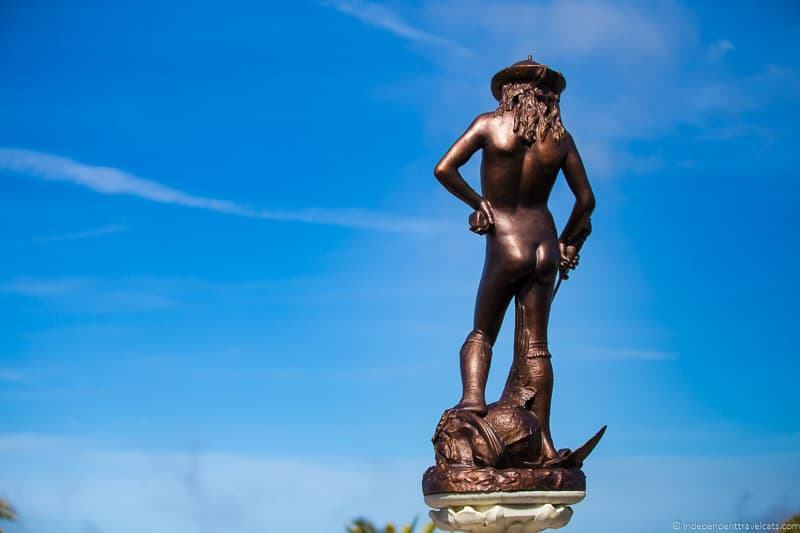 You’ll also find a number of fountains and statues on display throughout the gardens. This includes the oldest antiquity in Hearst’s collection which are granite figures and heads of the Egyptian goddess Sekhmet dating to the 18th and 19th dynasties (approximately 1550 BC to 1189 BC). There are also some amazing views from the various parts of the gardens and terraces here over the estate and the Central Coast. You can see all the way to the Pacific Ocean. You will see only a few highlights on the tours, but after the tour you are welcome to explore the gardens on your own at your leisure. The gardens, terraces, and pools make up about 125 acres of the estate, so there is a large area that you can explore. 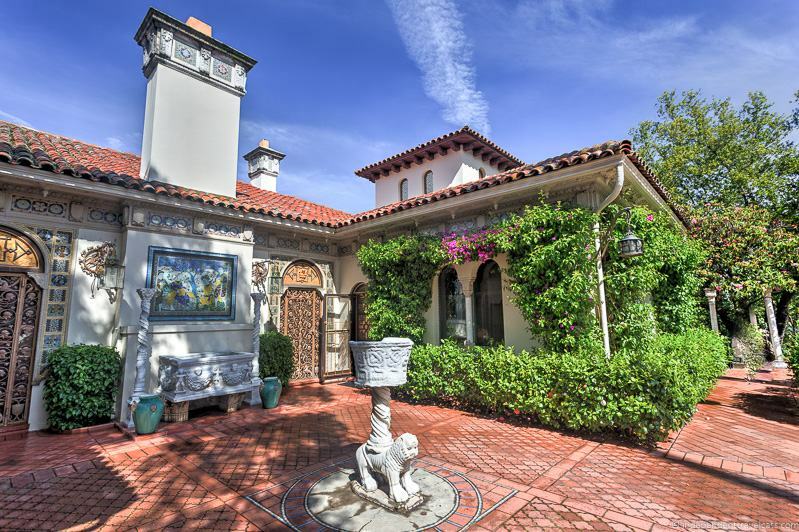 The exteriors of Casa Grande and the guest cottages have strong Spanish and Mediterranean influences, particularly Spanish Colonial Revival and Mediterranean Revival. But the interior designs and art collections inside Casa Grande are much more eclectic. As you walk through the rooms, most of the rooms are furnished and set up as they would have been during Hearst’s occupancy in the early twentieth century. You’ll learn that entire rooms (including the walls and floors) were sometimes taken from monasteries, churches, and castles and transported to California to be reassembled. 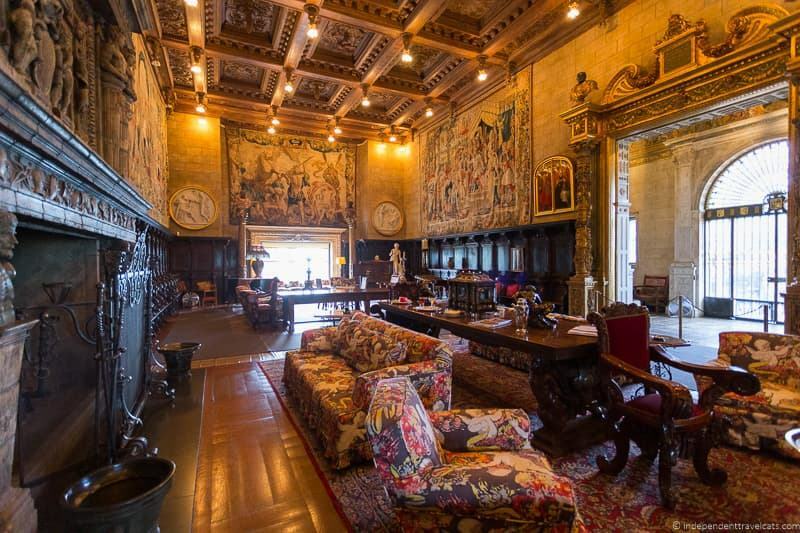 Hearst had warehouses full of treasures—ancient statues, rich tapestries, Roman mosaics, beautiful paintings, priceless furniture—and many of these are still showcased at Hearst Castle. While it is great to see, it’s also a bit disheartening to think about some of the beautiful places that were torn apart and treasures sold likely for the need of some quick money rather than these treasures staying in their homeland. As noted, we did the Grand Rooms Tour at Hearst Castle. This tour explores the main public rooms of Casa Grande, which are some of the grandest rooms on the estate. These include the Assembly Room, Refectory (Dining Room), Morning Room, Billiard Room, and private theater. Casa Grande has 115 rooms, but you see only about a half dozen on this tour. If you want to see more, you might consider also booking the Upstairs Suites Tour or doing the Evening Tour (includes the rooms of the Grand Rooms and Upstairs Suites tours). With a larger group, it can be a bit crowded inside the buildings since at times you have to walk almost single file to stay on the tour carpeting to prevent damage to the original floors and rugs. But it was manageable and we had time to see everything in each room. Our guide was very knowledgeable and provided a very good narration along the way and was able to competently answer questions from visitors. We found if we wanted to best hear the guide and ask questions, it was best to try to stay near the front. The Assembly Room is the largest and grandest of the public rooms, and it was here that Hearst and his mistress (or wife) would often greet their guests. It was also used for evening cocktails, conversation, and reading. The room contains beautiful walnut paneling, a ceiling from an Italian palazzo, a fireplace from a French chateau, a set of four tapestries believed to be designed by Giulio Romano, large marble medallions, a painting of the Annunciation by Spanish painter Bartolomé Pérez de la Dehesa, and a number of neoclassical sculptures. Among these sculptures is the Venus Italica by Antonio Canova, one of Hearst Castle’s most treasured pieces. There is also a sentimental Victorian era piece in the room that may look a bit out of place; it is called the Orchid Vase lamp. The base is a vase created in 1889 by Tiffany & Co. that won honors at the 1889 Paris Universal Exposition. Hearst’s mother Phoebe purchased it and had it converted into a lamp, and later William Hearst kept it here as a tribute to his mother. The room is a bit overwhelming to try to admire all the art, furniture, and decorations, and the guide helps direct you to the most important pieces. 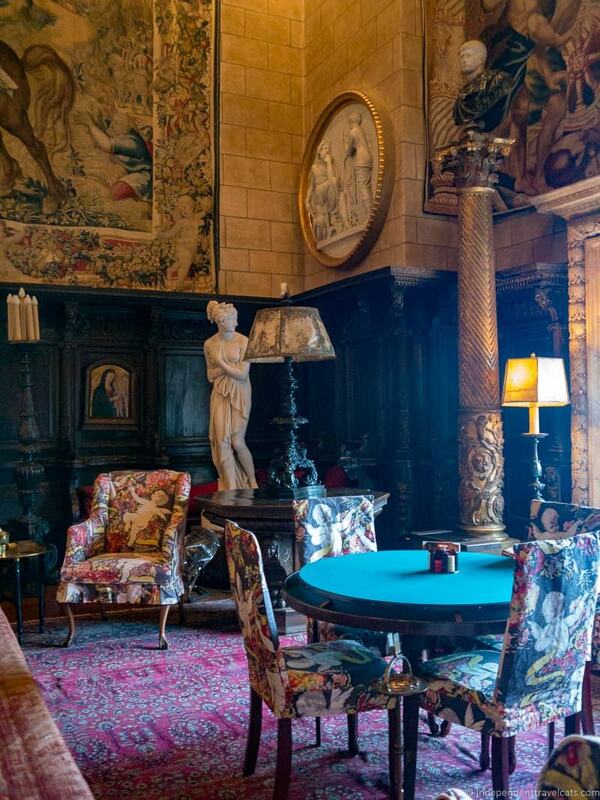 The Assembly room also holds secrets such as a hidden door that allowed William Randolph Hearst to come and go as he pleased with little notice. Now you head into what resembles a Gothic dining hall from the Middle Ages. This is what Hearst and Morgan intended and it was referred to as The Rectory, which is the term used for a dining hall in a monastery. The room is lined with wooden choir stalls and is is framed by colorful silk banners from Italy. It has high windows and a beautiful carved Italian Renaissance ceiling. The long table in the middle, from an Italian monastery, is set with lots of fine silver candle holders and silverware. The opulent silver collection stands in contrast to the paper napkins and bottles of mustard and ketchup Hearst often had at the table. These were the simple nostalgic touches Hearst liked in order to keep things bit more informal at his ranch. Overlooking the Refectory is a minstrel’s gallery or Musician’s Loft as it was called by Hearst and Morgan. Here music would be piped in during dinner. One rare occasions, it was used for live music performances—Roy Rogers and the Sons of the Pioneers played here at least one. Although Hearst and Marion Davies were clearly hosts who knew how to show their guest a good time, guests were expected to not wear out their welcome! The Billiard Room, originally a breakfast room, was a popular spot for guests. Here they could enjoy games of billiards and pool and there was also a small sitting area where they could relax and read. 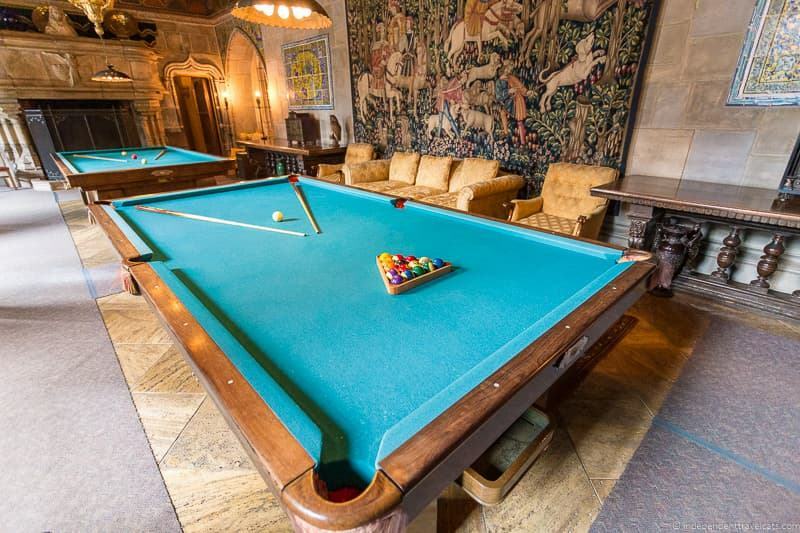 Some notable things in the Billiard room are the 15th century painted Spanish ceiling, the French fireplace, the 15th century Flemish tapestry depicting a hunting scene, and the frieze over the door decorated with 16th century Persian tiles. Next, we were led into Hearst’s private theater. Initially, films were shown outdoors to guests, but soon Hearst had his own indoor theater built. The theater was built to hold 50 guests, and was used to both show films and to host amateur theatricals put on by the guests. 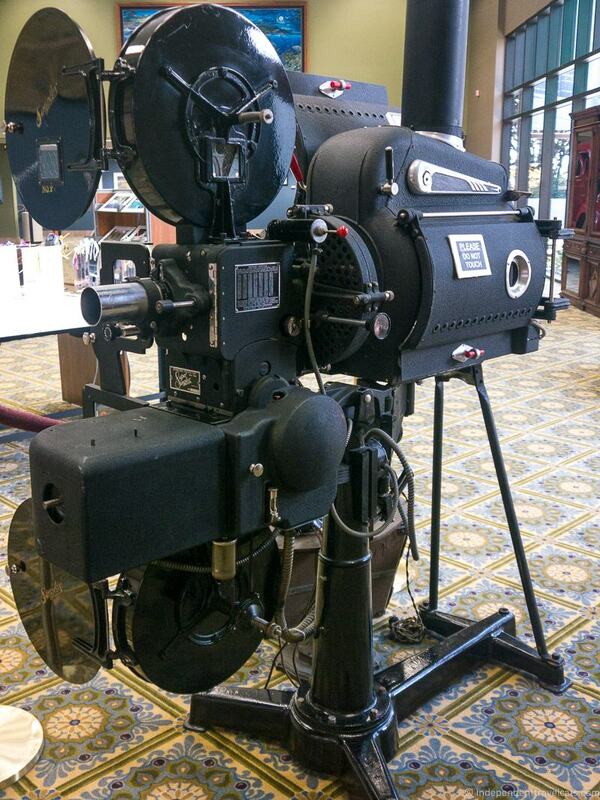 Hearst would show a full-length film and newsreel almost every night at Hearst Castle. A driver would often bring a new film each day from Los Angeles for the enjoyment of the guests. Later, this practice would spread and hosting film screenings at private homes would become very popular in Hollywood. Not surprisingly, many of the films shown at Hearst Castle starred Marion Davies and were produced by Hearst’s own Cosmopolitan Studios. But he also often chose movies that starred or were directed by one of the many guests at the castle. We were shown a short film with clips of Hearst and his guests spending time at Hearst Castle in the early 20th century. This was a good way to end the inside part of the tour. Next we headed out of Casa Grande to see the swimming pools and also take a peek at the tennis court. Hearst had both an indoor swimming pool and an outdoor swimming pool built on the property, both on a gigantic scale. Interestingly, the staff actually gets to swim in and enjoy the pools once or twice a year—what a pool party! Members of the Hearst family also occasionally use the house, and Lydia Hearst held her bachelorette party at Hearst Castle in 2016 which included time in the Roman Pool. The guided tours visit the pools and give you a good overview of them both, but as with the gardens, you can revisit the pools after your tour ends if you want to spend more time looking at them or taking photos. 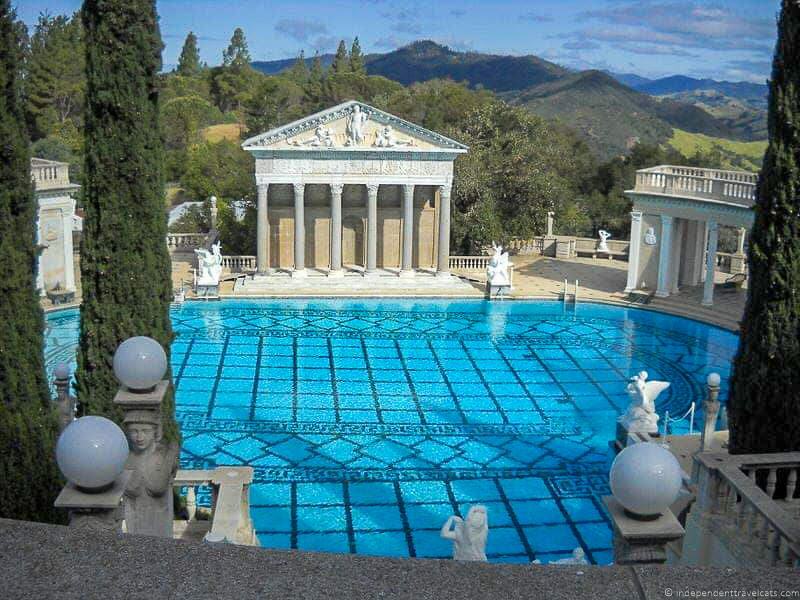 The Neptune Pool is probably one of the best known outdoor features at Hearst Castle. The Neptune Pool was the very first pool built at La Cuesta Encantada and it is located along the edge of the hilltop. The first pool was built because Hearst’s wife and kids wanted a swimming pool. Although the first pool here was completed in 1924, Hearst kept wanting to expand it in order incorporate statues and antiquities that he wanted to display as part of the pool complex. It would be enlarged twice more and would reach its current size in 1936. Today the pool is 104 feet long and holds up to 345,000 gallons of water! There are also showers and dressing rooms here. The Neptune Pool is lined with marble tiles from Vermont and is decorated with a number of statues, many made by French sculptor Charles Cassou. In the center is a Roman temple, partly an actual original Roman temple and partly constructed of other elements from structures Hearst purchased in Europe. The pool was drained and underwent amassive 10 million dollar restoration in 2014 as major cracks and leaks were discovered. The pool was re-opened and refilled again in the summer of 2018. 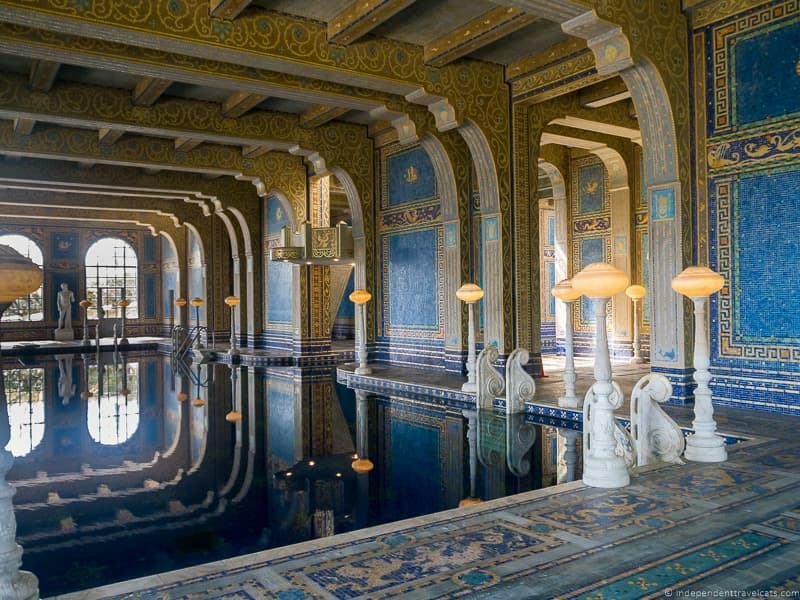 The Roman Pool at Hearst Castle is a heated indoor pool decorated with beautiful tiles and eight marble statues. The pool was built between 1927 and 1934 and it is designed lo look like an ancient Roman bath such as the Baths of Caracalla. It is located behind Casa Grande. The Roman Pool is decorated from top to bottom with 1-inch square mosaic tiles made of Murano glass. The tiles were designed by Camille Solon and were inspired by the 5th Century Mausoleum of Galla Placidia in Ravenna. Most are blue, orange, or gold. The ceiling is particularly beautiful with its night blue tiles with stars. The eight marble statues around the Roman Pool were created from Carrara marble by Italian sculptor Carlo Freter. They are all based on ancient Greek and Roman statues of gods, goddesses, and heroes. The Roman Pool is 1,665 square feet, and it can hold 205,000 gallons of water. It is up to 10 feet deep. 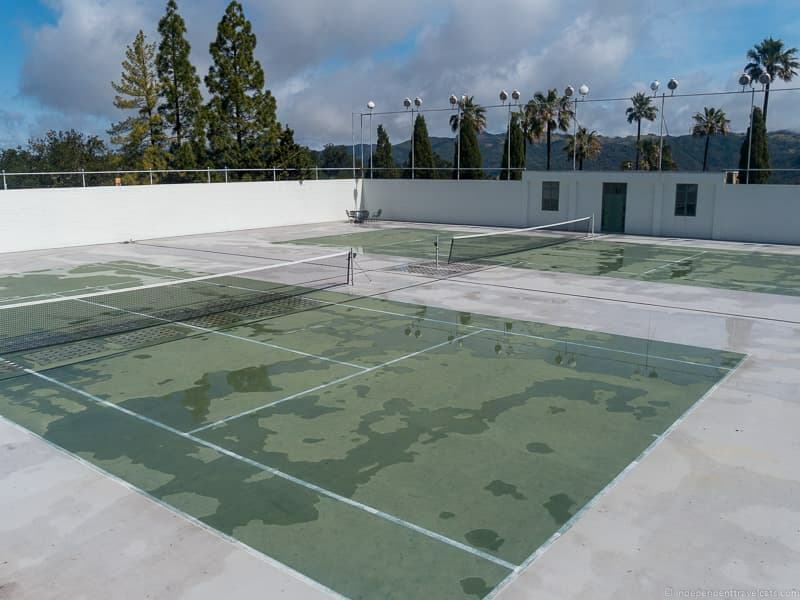 There are also dressing rooms located here, and behind the pool are the tennis courts. This is definitely the most beautiful indoor pool we’ve ever seen! After visiting both pools, we were able to wander around the gardens as long as we wanted. The buses back down the hill leave about every 15 minutes, and you just need to make sure you catch one before the last one of the day leaves for the day. After the bus ride back down to the Visitor’s Center, we grabbed some food at the cafeteria style dining area called Chief’s Galley Cafe at the Visitor Center. I’ve eaten here twice. The food is a bit overpriced as you would expect, and the first time the food was pretty mediocre and unmemorable. The second time we tried the hamburgers with the local Hearst Ranch beefs and these were pretty good. Still a bit overpriced though. We also checked out the gift stop and found that they had a good selection of books. If you are interested in learning more about Hearst or Hearst Castle after the visit, some great books and videos are for sale here. Overall, we really enjoyed the tour, the scenery, and walking around the gardens. The film was interesting and our guides on both visits were very professional and knowledgeable. The food was OK but overpriced, but this was really the only downside to our visit. Some of the highlights for us were the gardens which were very pretty in Spring, the two stunning swimming pools (the outdoor Neptune Pool and indoor Roman Pool), the Assembly and Refectory rooms of Casa Grande, and being able to watch some short film clips in the private theater at Casa Grande. Although the architecture and design may not be to everyone’s tastes, it is amazing what Julia Morgan and Hearst were able to create together. The art and decorative elements in the buildings are amazing. It can be a bit overwhelming to try to take it all in and so it was great to have the opportunity to visit more than once. The Grand Rooms tours is a great introduction the house. We’d love to visit again to see the Upstairs Suites and other areas of the house on a future visit. I’ve always wanted to do one of the seasonal evening tours that include a longer guided tour at night with docents dressed up in 1930’s clothing enacting life as it would have been during the time period. The California Parks seems to be doing a very good job in maintaining the property and offering professional tours to the public. There are very few places like this in the United States and we believe this is a place worth seeing at least once. Bad selfie of us enjoying our time in the sunny gardens! Be sure to plan to arrive at the Visitor Center at least 15 to 20 minutes prior to the beginning of your tour to ensure you have enough time to collect your tickets, get your wristbands, and make it on the bus in time. We recommend watching the film at the Visitor Center prior to your tour if you have time as it provides some good background information. But if you don’t have time before, we recommend watching it afterwards. Baby strollers, luggage, chewing gum, food, and tripods are NOT allowed on the tours. Please leave these things in your car. The temperature may be hotter or colder on the hill than at the Visitor Center, so dress in layers. Bring a hat and sunscreen if it’s sunny as you will be spending a bit of time outside during the tour. There is no food or drinks sold on the hilltop, so plan meals and snacks accordingly. Bottled water is OK to take on the tour, but no other drinks, food, or gum is permitted. We recommend bringing a reusable water bottle with you for the tour, especially if visiting in summer. There are bathroom facilities in the Visitor Center. There are toilets on the hilltop if you need them, but it is best to use them at the Visitor Center before or after your tour. Note that during periods of drought in California, portable toilets (porta-potties) and chemical toilets are often used to conserve water. If you have difficulty climbing stairs, note that the regular tours include 150 to over 300 steps and require quite a bit of walking and standing. If you have mobility issues, we recommend considering one of the stair-free ADA Accessible Tours. The tours at Hearst Castle are not well-suited for some young children. They are all guided and timed and children will need to be supervised during the tour to keep them from touching or damaging the art and furniture as most things are not roped off. The length of the tours (60 to 75 minutes) can be difficult for some young children, and parents should consider if this is a good fit for their kids or not. Strollers are not allowed at Hearst Castle. If you have flexibility over the timing of your visit, we recommend trying to visit during good weather so you can better appreciate the garden and the views of the undeveloped land and ocean surrounding the property. If you book more than one tour in the same day at Hearst Castle, you’ll probably need to take the bus down the hill after the first tour before the start of your new tour. This is done to better control visitor numbers and keep track of groups. Be sure to ask where you need to meet when collecting your tickets. For more things to do in the area, be sure to see our guide to things to do in Cambria and San Simeon to plan a full day of sightseeing in this scenic area. 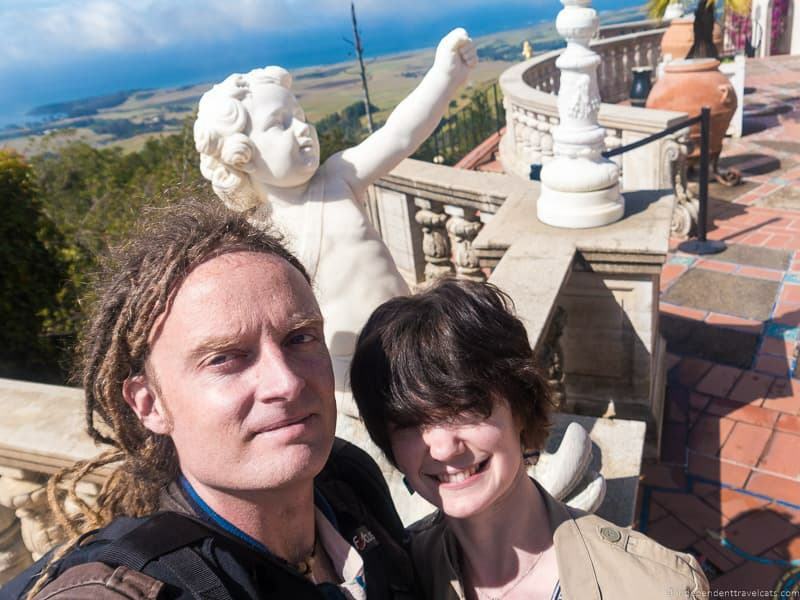 So that is our guide to and tips for visiting Hearst Castle in San Simeon! Hopefully this has helped you plan your own trip to this special American Castle on the Central Coast of California. 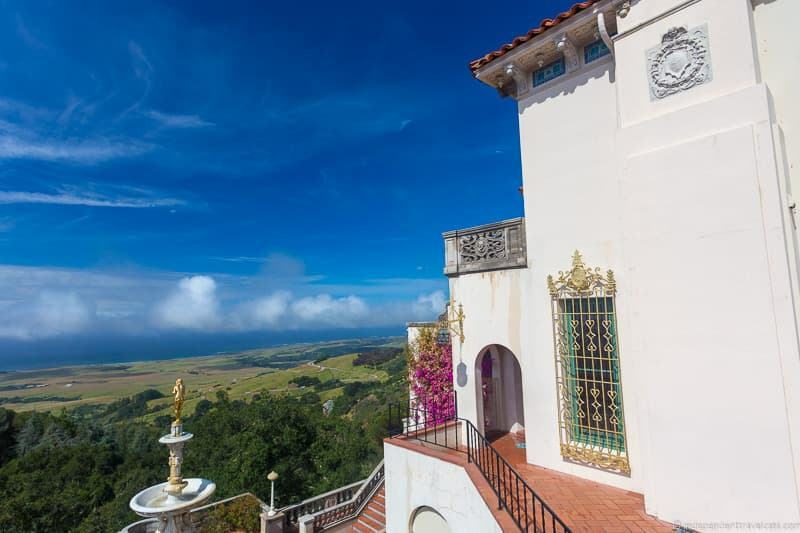 So what do you think, do you think Hearst Castle is worth a visit? Have you visited Hearst Castle—we’d love to hear your thoughts and any other tips you may have for those planning a visit. Just let us know in the Comments section below. As always, feel free to ask us any questions you may have about visiting Hearst Castle or things to do in Central California. I am planning a vIsit to Hearst Castle in August 2015 with my daughter. 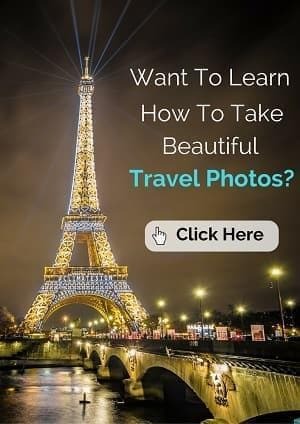 I would love your advise as to how many different tours we should book in one day. Is one sufficient or should we pick two? If you suggest two, then which ones should they be? Thank you for any help and planning ideas. Yes, it seems that they keep changing up the tour names and what is included in each one. Yes, the weather was great during our visit, it is definitely more pleasant to take in the gardens and outdoor views when the weather is clear and nice. But the inside is wonderful regardless and glad you’ve enjoyed your tours so much. We’d like to return and do one of the evening tours at some point. 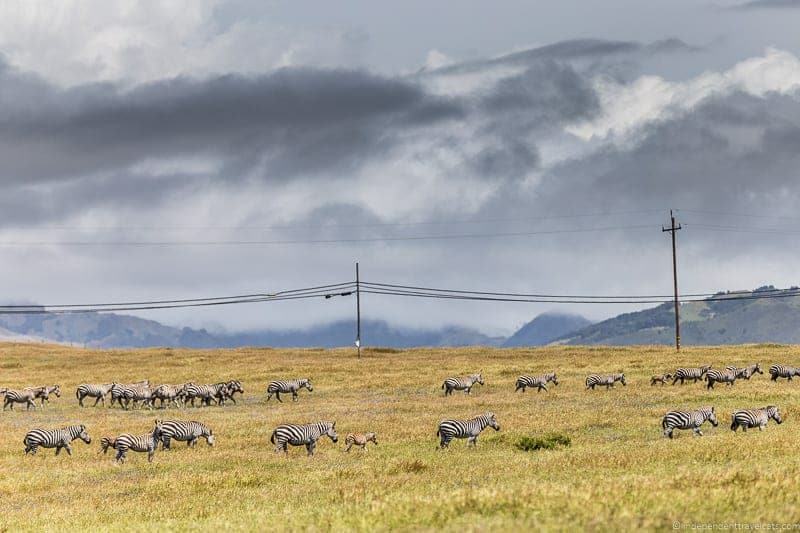 We saw zebras grazing as we drove past the property on our way down the coast – unbelievable! We didn’t stop with the kids though – too pricey for an attraction they weren’t interested in. So I loved seeing your photos, and hope one day my husband and I can go back and take the tour. Dana, wow, that is wonderful that you got to see the zebras! I would definitely recommend going back at some point for a tour of Hearst Castle. It really is a well-done and organized tour. Go in nice weather so you can spend extra time wandering around on your own outside, the gardens are really pretty in the Spring and Summer. Nothing against Hearst castle, but I’m glad you mentioned the elephant seal rookery. It is so cool, very much worth a visit, and not nearly as well known as the castle. Indeed, interesting and free:) I think the whole rocky, undeveloped coastline in this area is just wonderful. Melissa, I hope you get the opportunity to visit Hearst Castle some day. Although in France, there are so many castles you can visit until then! Yes, I love the rugged coastline in this area and elephant seals are always a great plus:) I wasn’t a huge fan of Citizen Kane when I watched it as a teen, but learning the history of William Randolph Hearst actually made me appreciate it more. I am a guide at Hearst Castle and enjoyed the description of your visit. I would like to add that Hearst Castle is an accredited art museum and there is some evidence that William Randolph Hearst was intending it to be an art museum. In the 1920’s he wrote to the architect Julia Morgan, “I see no reason why the ranch should not become a museum of the finest things I can obtain.” He told his son, William Randolph Hearst Jr., “We are only borrowing this house until I can make a gift of it to the people of America.” In that sense, it is not different than any other museum in the country that features European art, including The Metropolitan Museum of Art, stocked with European art and architectural features bought and donated by wealthy Americans including J.P. Morgan. Thanks so much Peter for stopping by our blog! Thanks for the additional info on the history and Heart Castle’s status as an art museum. Ethan and I would love to return for one of the night tours some day. Do you have any additional tips for readers thinking about visiting? Your description and suggestions are really everything that one needs to know to enjoy a visit. The one thing that I might suggest is for visitors to pursue a particular interest. The art is just one part of the story. 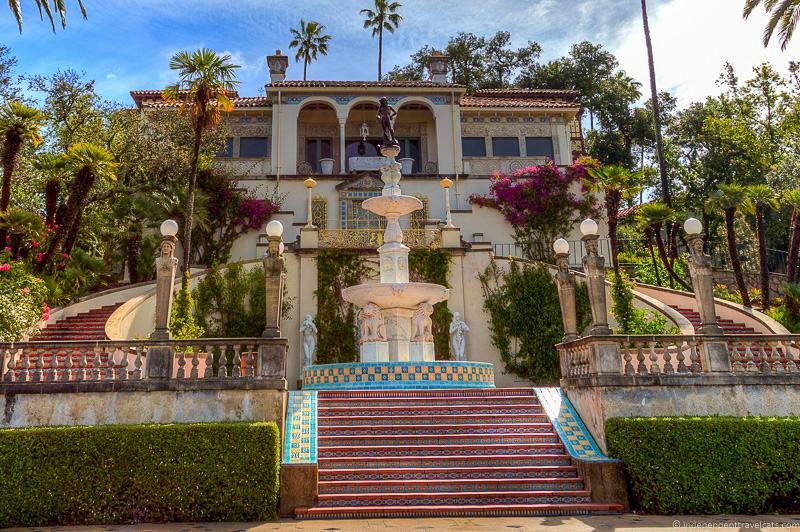 William Randolph Hearst was probably the most talked about private citizen in the first half of the 20th century and probably the most well-know American in the world after Franklin Roosevelt, and for many, many reasons besides his house at San Simeon. The architect Julia Morgan, the most prolific architect in U.S. history has a fascinating story and is worthy of investigation. The story of the construction of the Castle is mind-boggling for those interested in that aspect. There are many other avenues to pursue. After the 40 minute guided tour, guests have the opportunity to explore all the gardens and terraces at their leisure until the park closes. Climb the outside balconies on Casa del Monte and Casa del Mar and peek into windows. The best view on the hilltop is from the balcony on Casa del Mar which is why Mr. Hearst used that house from 1945 to 1947. His bedroom is the on the south-east corner. The opposite balcony was the bedroom of his companion, Marion Davies. Highly trained, experienced and knowledgeable guides are stationed throughout the park and we are NOT there to be policemen or security guards. We are there to answer your questions and speak with you about any topic or point of interest. A small amount of research before one visits and the willingness to ask questions and interactively participate in the experience can highly enrich one’s visit. And by all means, plop down on a chaise lounge by the Neptune Pool, put your feet up and pretend like you own the place! Wow, thank you so much for your detailed and thoughtful response! I appreciate the insider’s scoop on how to make the most of a visit to this fascinating place. We’ll have to plan a return visit soon! Wow. My husband is from California but we have never made it to the “Heast Castle”. I’ll be adding it to my list after seeing this. Thanks for stopping by Rachel! Yes, it’s a bit out of the way but a fun trip. We did it in conjunction to a visit to some along cities along the Central Coast. It’s hard to believe that so much world history is assembled in a (once) private home in CA instead of a museum! I’d say the family certainly had eclectic taste 🙂 I’ve heard quite a bit about Hearst Castle (and seen Citizen Kane a few times) and would love to go. Thanks for the run through and the travel tips – no doubt they’ll come in handy! Yes, you should definitely head here if you are in California! I should re-watch Citizen Kane as it has been a long time since I saw it. That is crazy, in an amazing way! A mish-mash of styles and historical eras and artifacts that could only work in this place. Yes, it is certainly both an odd and fascinating place!